The latest greatest in terms of materials and design logic is being implemented into the concept that is rapidly taking the building industry over. Countless projects have already successfully adapted the modular prefabricated unit concept, and many more will follow. The solutions that modularity bring, are so versatile that most modern building project can benefit from it in one way or another. Think of extensions to current facilities, or temporary housing during a renovation. Even permanent structures can be built using this system. Sizes and shapes are flexible and can easily be adapted to changing needs or diverse utilisation. Modular buildings are on the rise and will continue to gain market share, looking at the current success rates. With the benefits of modular building methods vastly outweighing those of traditional methods, the only way is up. The numbers are currently showing a great trend towards more and more modularity in building projects. Smart, space saving solutions are key in most urban environments these days, as land prices are higher than ever. Within modern cities it is no longer accepted to cause disturbance with construction projects for longer than a given timeframe. Noise levels and traffic are subject to regulation, and are often strictly monitored. Finding ways to overcome the strict regulations has always been challenging, and no solution so far has had a greater impact than prefabrication, off site construction methods. With strongly rising standards worldwide for construction planning and execution in the urban environment, challenges are abundant. From noise levels to emission limits and safety regulations, the restrictions are vast and becoming ever more complicated. Fabricating modules or structural components off site, away from the urban environment, makes for a great number of benefits. Not only does the direct environment benefit, also the total amount of pollution caused by the entire supply chain is far less. Materials in prefabrication can be sourced and processed in cleaner ways, some even don’t require for any mining, and make for a cleaner end product. The total amount of materials, energy and labour needed is drastically less compared to traditional building methods, saving huge amounts of transport and pollution at the bottom line. This makes prefabrication projects more likely to go through legalization processes faster, again saving time. Pressing most budgets, the recession took quite a toll on the construction industry. Having less to spend, many people start to think of creative alternatives to the regular options. Reinventing the whole methodology was needed, in order to point that we are at today. 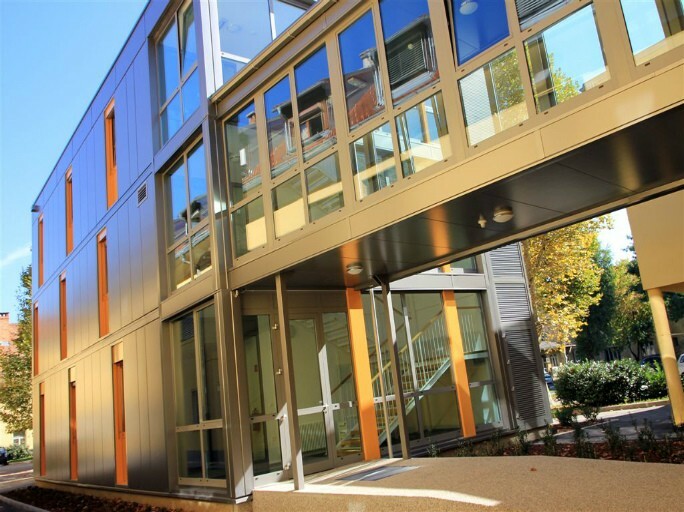 Finding new materials and developing those to support the prefabricated modular building solution has shown to be one of the key factors to success. New ways of processing the materials efficiently needed to be developed, in order to suit the modular concept. All of this has brought the industry to whole new levels of efficiency, as lead times can now be drastically reduced. The last recession has been benefiting the building industry, especially the modular branch, allowing for faster development of more efficient products. Increased demand for alternative building styles has ultimately led to a boost in quality while lowering prices.